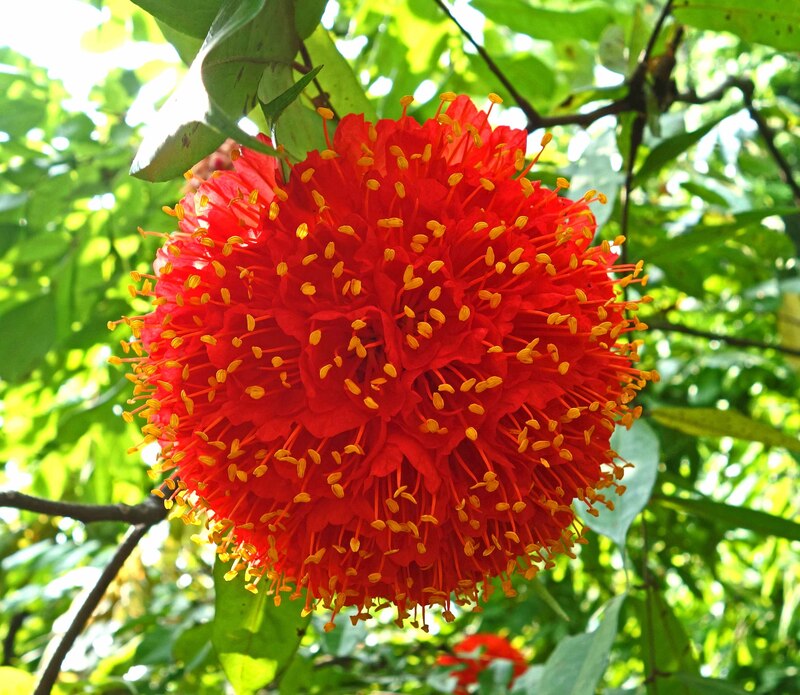 I came across this amazing flower – rose of Venezuela, or rose of the jungle – in Bogor Botanical Gardens, Java, Indonesia. It originates from South America, where for millions of years it existed as understorey plant of Amazonian rain forests (endemic to Brazil, Ecuador, Honduras, Venezuela and Colombia). 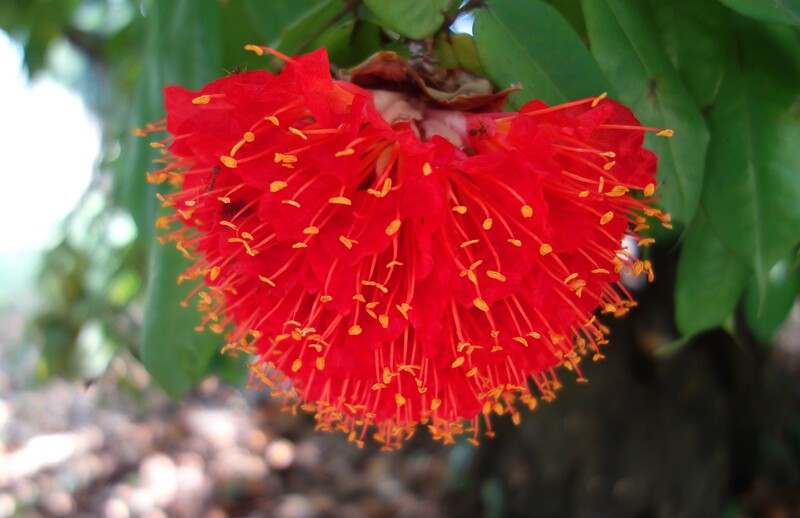 Once discovered by Man, it has been spread all around the globe and is now widely grown in tropical gardens. In case you fancy one, it does not like temperatures below 55 °F (13 °C) – a bit like me! – but will thrive both in full sun and in partial shade (1). It seemed to be doing very well in these botanical gardens in west Java: Peta Kebun Raya Bogor.